shingenseiji wrote: Can someone get the baseURL for SideM LIVE ON ST@GE for me, please? Please help, I've been desperately trying to make Fiddler give me the URLs but it just won't work for me. just launch your emulator and run the game. then run Process Hacker as admin. that should get you your url. chrrox wrote: Here is a script that will auto decompress the files for you. you need to do pip install lz4 for this script to work. chrrox wrote: just launch your emulator and run the game. Last edited by Supurreme on Wed Nov 14, 2018 11:18 pm, edited 1 time in total. Does anyone know how to get asset files of "Girls und Panzer: Atsumare! Minna no Senshadou!"? I've tried my luck through normal installation but only got encrypted files. Fiddler says it gets the files from "ab.regit56.jp". YoKoMiRaKuRu wrote: Does anyone know how to get asset files of "Girls und Panzer: Atsumare! Minna no Senshadou!"? I'm sure its 3d model file. I can open it on Unity Studio, but not luck, 3D mesh and textures not displayed also can't extracted. Can anyone gimme the link for Alternative Girls VR? also are the unity files encrypted? Here is a script to download all the costumes from ブレイド2 X指定 Honey x Blade 2. Here is a list of all the costumes http://honeyxicons.yolasite.com/Costumes.php. if your pc can't handle that much and just lower the number. and place in the id from the site i linked. chrrox wrote: Here is a script to download all the costumes from ブレイド2 X指定 Honey x Blade 2. It show HoneyX2 folder but the folder is empty. I use python37 32bit. I had installed lz4 and pillow. also run it from command line so you get messages back. why are you not running 64bit python? I'm noob about python. Is this right? you don't need to run the command line as admin. 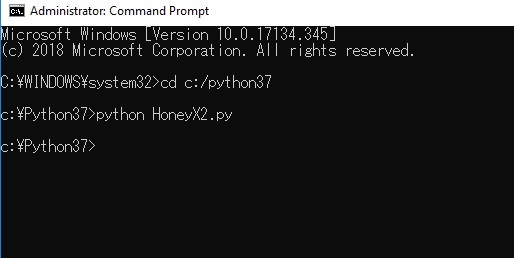 Here try this install of python I am sure the problem is one of the dependencies is not installed correctly. chrrox wrote: you don't need to run the command line as admin.